Video recorded with a Canon camcorder in auto-mode (top) and our auto-calibrated result after tone-mapping (bottom). Our algorithm recovers the non-linear mapping of intensity to irradiance, effectively canceling adjustments employed by the camera over time to cover the dynamic range. For example, compare the drastic changes in the lantern’s post appearance in the original video to its uniform appearance in our calibrated result. Please see the accompanying video. 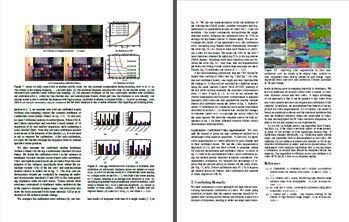 "Post-Processing Approach for Radiometric Self-Calibration of Video"